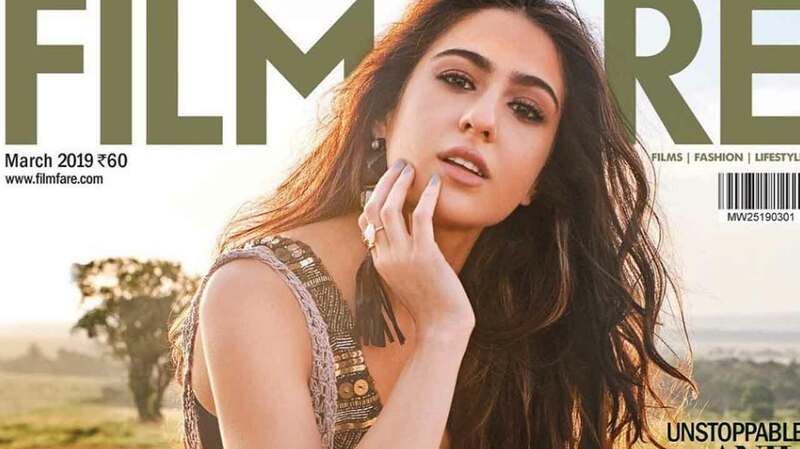 Shining like a star, Sara Ali Khan made her much-anticipated Bollywood debut last year with ‘Kedarnath’ and has been one of the most talked about debutante of as both of her films Kedarnath and Simmba have had smashing records. Owing to immense fan following, various brands have been queuing up to sign Sara Ali Khan as the brand ambassador. Sara immediately after the release of her blockbuster films signed, and became the face of Brands like Veet and Fanta. Before the announcement of Veet, there was a spotting of Sara with packing the belongings from the house which built curiosity among the fans leaving them intrigued upon it. Soon, Sara took to her social media and announced “Here’s to new beginnings”. Both the ads have have tracked with millions of views, proving the popularity of the actress. Sara has been currently juggling with shoot of her upcoming film and the brand commercials for which she has been shooting simultaneously. Recently, at an award function Sara won the title of Best debutante of the year for her performance in Kedarnath. The actress made tremors across the Bollywood and is the only debutante to have not just one but two films in a span of just a month that shattered box offices. The actress made her second appearance on-screen within a span of two weeks from her debut release. Sara stole the hearts of the audience in ‘Simmba’. The film set the cash counters ringing, turning out one of the biggest blockbusters of last year. Ever since she made her Bollywood debut with Kedarnath, Sara is the much talked about diva in the industry for her great sense of humor and charming personality. The audience is looking forward to see the actress on the silver screen. Next articleBack To Back Success Makes Kriti Sanon The Most Sought After Actress, Here’s How!